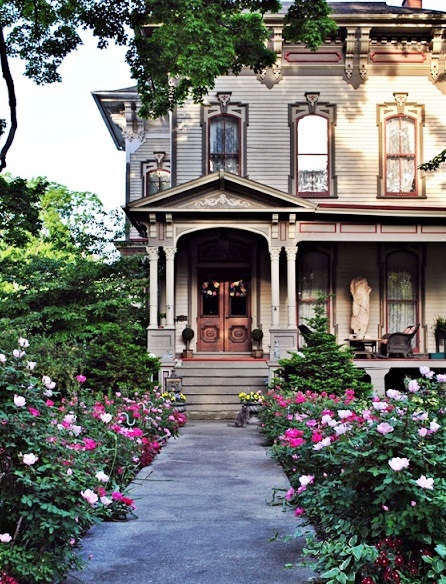 Home Exterior: What’s Your Favorite Style? 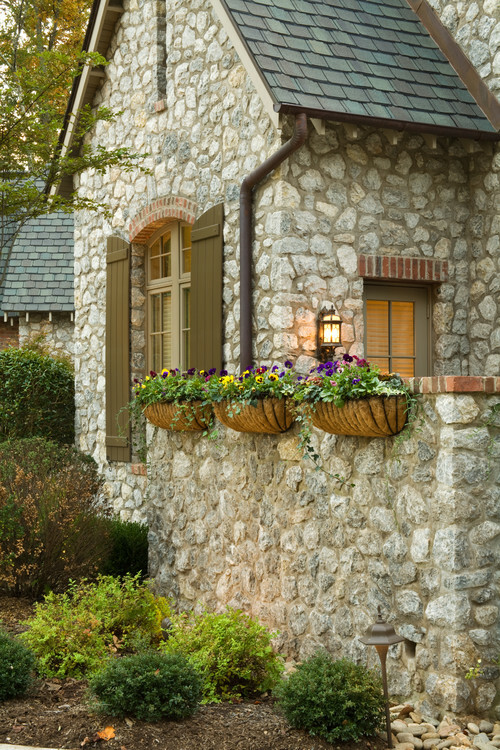 When you drive or walk around neighborhoods, do you find yourself drawn to one particular style of home exterior? Or maybe you’re drawn to a specific color of houses. 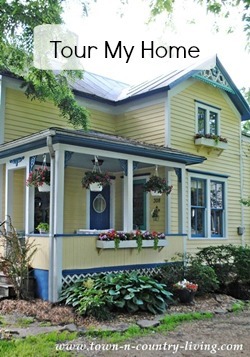 Today I’ve got a collection of home exterior styles to share with you. I’d love to hear what style you prefer most! 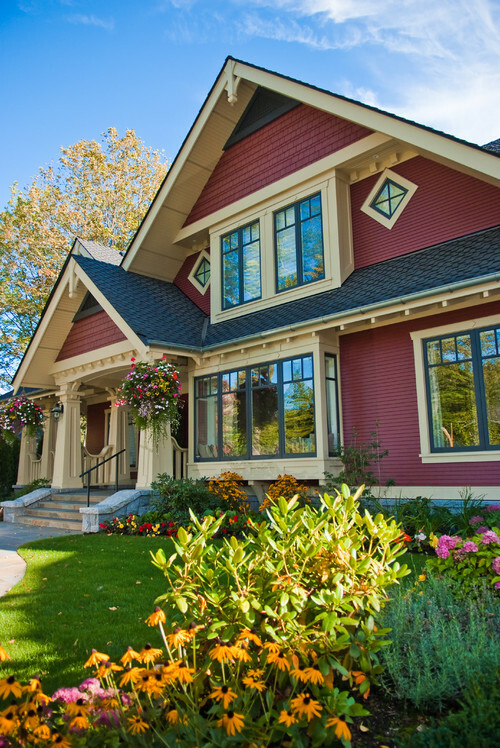 Craftsman style is distinctly American. The houses typically have low pitched roofs and porches often feature tapered columns. Earthy colors and multi-paned windows are other tell-tale features. This house reminds me of farmhouse-meets-craftsman. 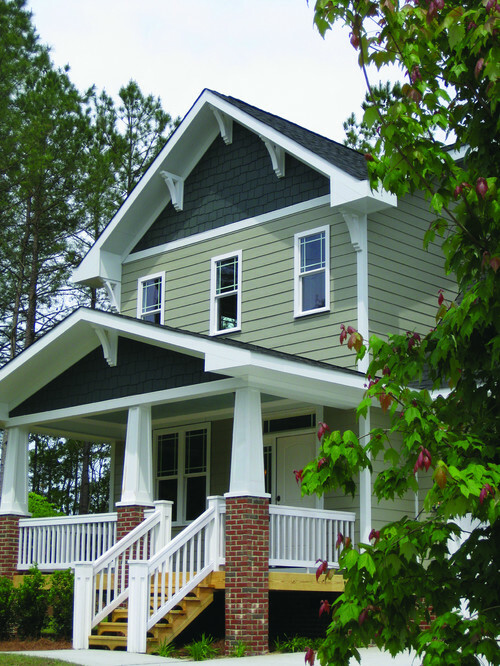 I love the two-toned siding and white corbels! 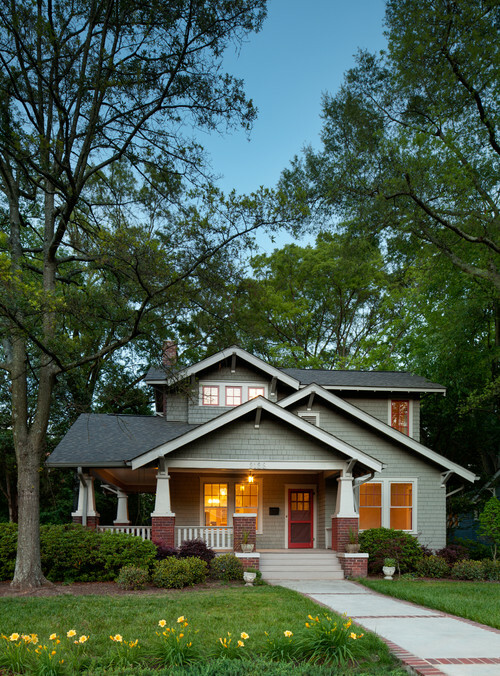 Here’s a prime example of the classic Craftsman home. 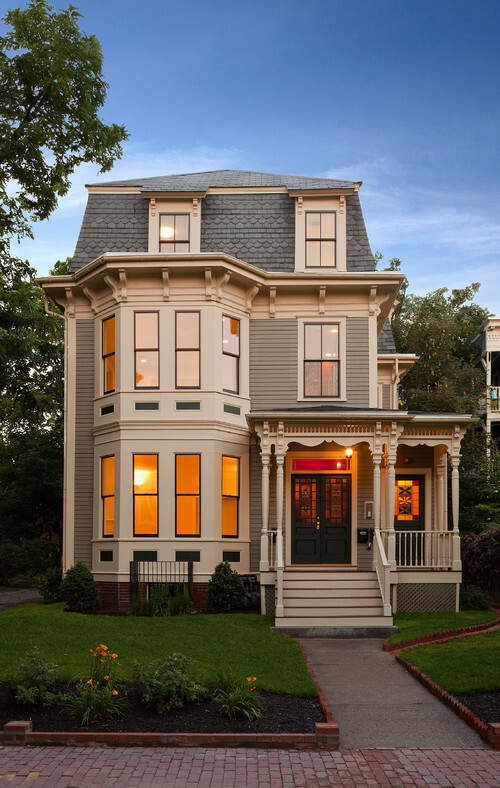 You see the low-slung roof, ample porch, tapered columns, and mullioned windows. The first home I owned was a Sears craftsman, looking at these photos make me want to live in a bungalow again. It’s not often you see a craftsman home exterior in red, but I love the hue on this house. The Victorian “style” is actually a period of time in our history from 1837-1901 when Queen Victoria was reigning. There are several types of Victorian architecture and all are quite distinctive. Most of us think envision turrets, gingerbread trim, stained glass windows, and expansive porches when we think of Victorian houses. My own little farmhouse, built around 1875, wears touches of Victorian influence. Most Victorian homes are painted in bold or bright colors, but this Victorian-style house looks elegant and under-stated in neutral tones. This beautiful Victorian home is just a couple blocks down the street from me. It’s currently for sale and if they have an Open House, I’m going to go see the interior. You can view it online if you want to take the tour. The wood trim inside is amazing!! 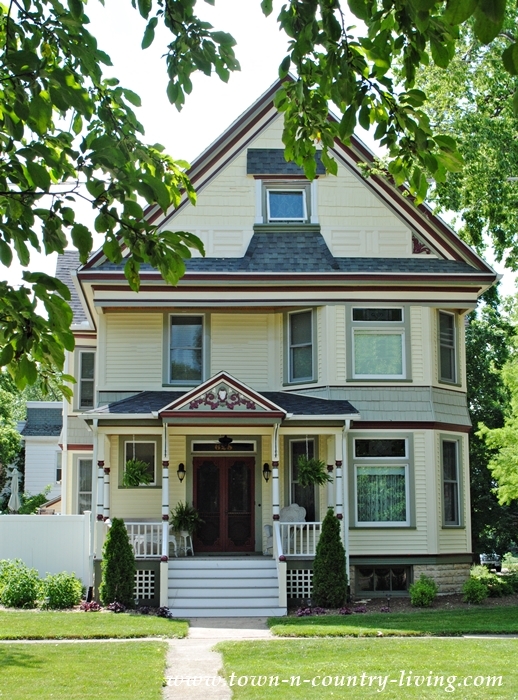 We have a lot of Victorian home exteriors in our area. This house is found in Sycamore, Illinois which is about 12 miles west from where I live. Stone cottages always whisk me away to England or Ireland. Visions of pastures filled with sheep, kept safe inside with matching stone fences come to mind. I think of the little cottage from the movie, “Holiday” starring Kate Winslet and Cameron Diaz. I would love to live in a little stone cottage. Would you? I would feel like I’m living in a fairy tale. Admit it. 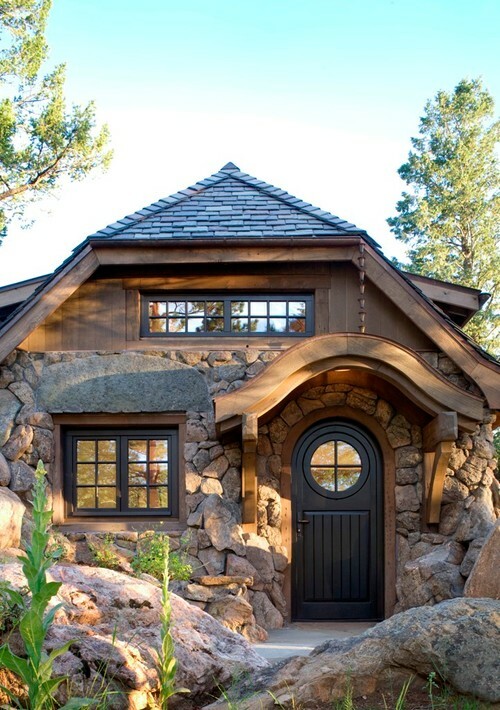 This charming stone cottage looks like a hobbit house, straight out of a Lord of the Rings movie. 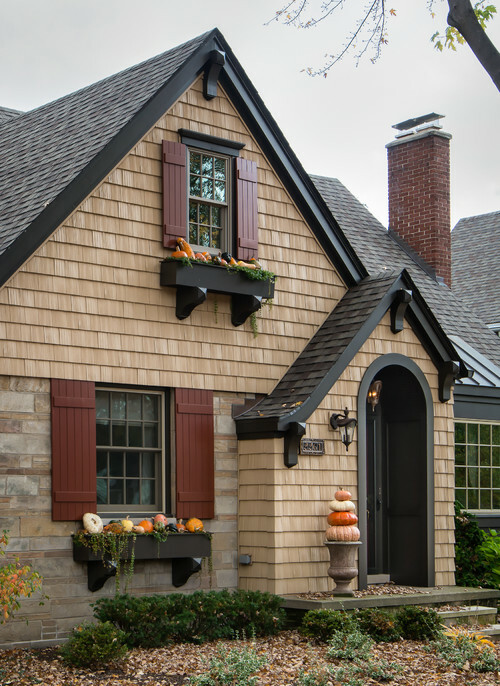 Well, we only covered 3 types of home exteriors today, but we’ll revisit more in the future. 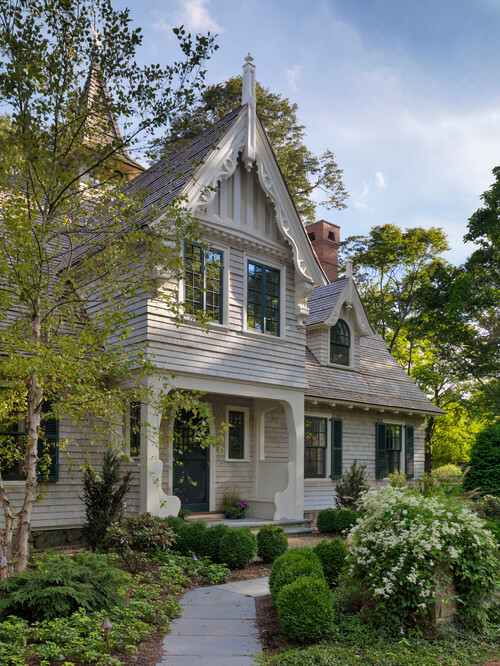 We still need to talk about Cape Cods, Mid-Century Modern, Farmhouses and more. 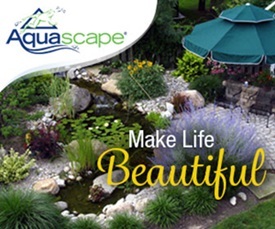 Do you have a favorite type of home exterior based on the ones listed here today? Lots of gorgeous homes…someone has put tons of work into these houses. You find the best stuff! 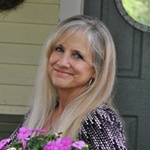 Love this blog post, Jennifer! Yes, I’ve always wanted to live in a “hobbit house” or one of those fairy houses in a tree. I love the craftsmen style house too. I like many types of architechture, and the more embellished (of whatever style) the better. Craftsman is my favorite style! Maybe because I am fortunate enough to live in one! Well, they are all beauties, but if I could choose it would be the very first one. I have been smitten with that house since I first saw it on pinterest. I love everything about it ! I also love the stone cottages. 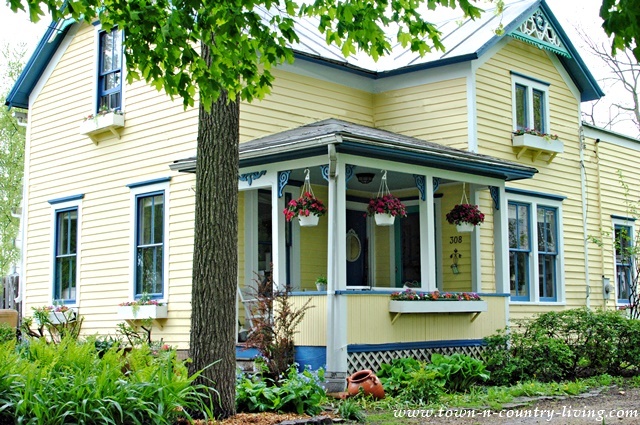 The Victorian that is for sale is almost a twin to one in my town that just recently sold. I almost thought it was that, and you had moved to WI, lol. I like 4 or 8 whatever style they were, i want a nice front porch to relax on. My front poch in screened in and i love to watch the neighborhood activity. Thanks these were all great houses. I love the stone cottages! Your right they remind you of fairy tales! 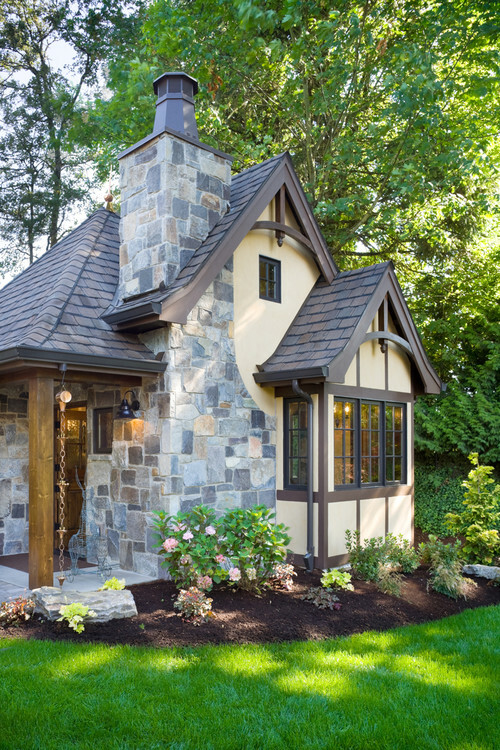 As much as I love a classic craftsman, and stone cottages call to me, option 1 is my favorite. 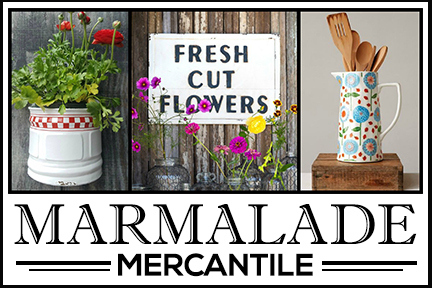 I love a farmhouse feel. I think if I won the lottery, I would build a one story farmhouse with some stone exterior. I’d let the grandkids pkay hobbit in the last one.! They are all beautiful but I gravitate towards the ones built with any type of stone. When you are doing other blogs about exterior styles don’t forget about log homes and Tudors (esp. brick Tudors). Those two styles are really my favorites.